In this Letter we describe computer siumations of ionic liquids confined between two planar Carbon electrodes kept at a fixed voltage difference, such that the electrode charge fluctuates. The charge distribution, the liquid structure, and the differential capacitance of this capacitor are computed. Nano Lett. 13, 2317 (2013). Appointment as professor of Soft-Matter Theory, see betanieuws. The EU 7th Framework Programme awards a Marie Curie ITN (Initial Training Network) entitled Soft Matter at Aqueous Interfaces (SOMATAI). This is a consortium of academic and industrial research groups with experimental, numerical, and theoretical expertise. Our project is entitled Effective electrostatic and capillary interactions at particle-laden aqueous interfaces. S. Belli, A. Patti, M. Dijkstra, and R. van Roij, Phys. Rev. Lett. 107, 148303 (2011). by the students of the Physics and Astronomy department. 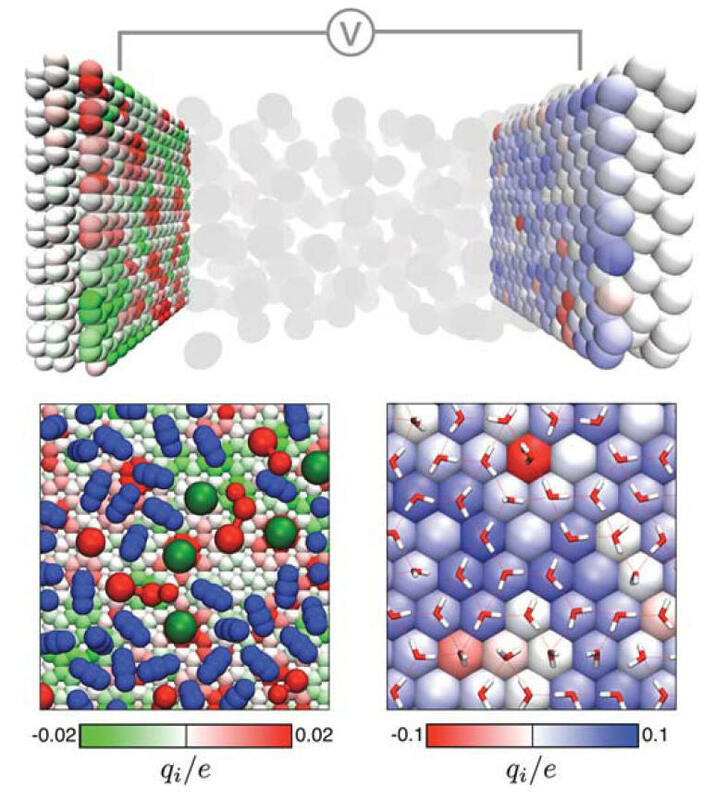 J. Zwanikken, K. Ioannidou, D. Kraft, and R. van Roij, Soft Matter 7, 11033 (2011). J. de Graaf, R. van Roij, and M. Dijkstra, Phys. Rev. Lett. 107, 155501 (2011). M. Dennison, M. Dijkstra, and R. van Roij, Phys. Rev. Lett. 106, 208302 (2011).